Hazel D. Dillon, age 84, of Fremont died Friday, December 28, 2018 at Providence Place in Fremont. Hazel was born November 15, 1934 in Columbia, Missouri to Robert and Thelma ‘Fulkerson' Liddell. The family settled in Omaha when she was 12 years old. Hazel graduated from Omaha Technical High School in 1952. After high school she attended Omaha University and then worked as a legal secretary. Hazel married Sid Dillon on June 16, 1956 in Omaha. They started their family while living in Omaha, eventually moving to Fremont. Hazel's greatest love was spending time with her family and attending any event that her grandchildren were involved in. She loved to entertain, especially at her home, and traveling with her family or friends. She also enjoyed sewing, tennis and music. Hazel was very involved in her community and was a member of several organizations including PEO Chapter EX, The Fremont Art Association, Coffee For A Cause founder, Care Corps, The Fremont Community Foundation, and many other groups. In many of the organizations she served in leadership positions or on the governing board. Hazel was a faithful involved member of First Lutheran Church. 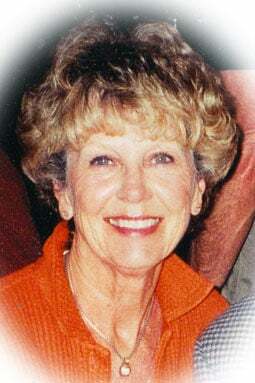 Those left to cherish her memory are her husband Sid, her children Cathy (Dwaine) Peetz of Omaha, Lori (John) Sajevic, Sid (Patty) Dillon and Blake (Tanya) Dillon of Fremont. Among her biggest joys were her grandchildren Mallory (Jared) Pofahl, Meredith Campagna, Sara (Jerrad) Rahn, Andrew (Brooke) Sajevic, Elizabeth Sajevic (Ryan Thayer), Chase (Sammy) Dillon, Dana Dillon, Hanna, Nolan, Nate, and Lucy Dillon; and great grandchildren Easton Charleston and Emmett Pofahl and Mason Rahn. Hazel is also survived by her brother Russ (Yvonne) Liddell of Omaha. Hazel was preceded in death by her parents. The funeral service will be 11am Thursday, at First Lutheran Church in Fremont. The Revs. Marty and Stephanie Tollefson will officiate. Burial will follow in Memorial Cemetery. Visitation will be Wednesday from 3pm to 8pm with the family present from 5pm to 8pm at First Lutheran Church in Fremont. Memorials are suggested to the Fremont Area Alzheimer's Collaboration (Fremont Area Community Foundation, 1005 E. 23rd St., Suite 2, Fremont, NE 68025) and First Lutheran Church.